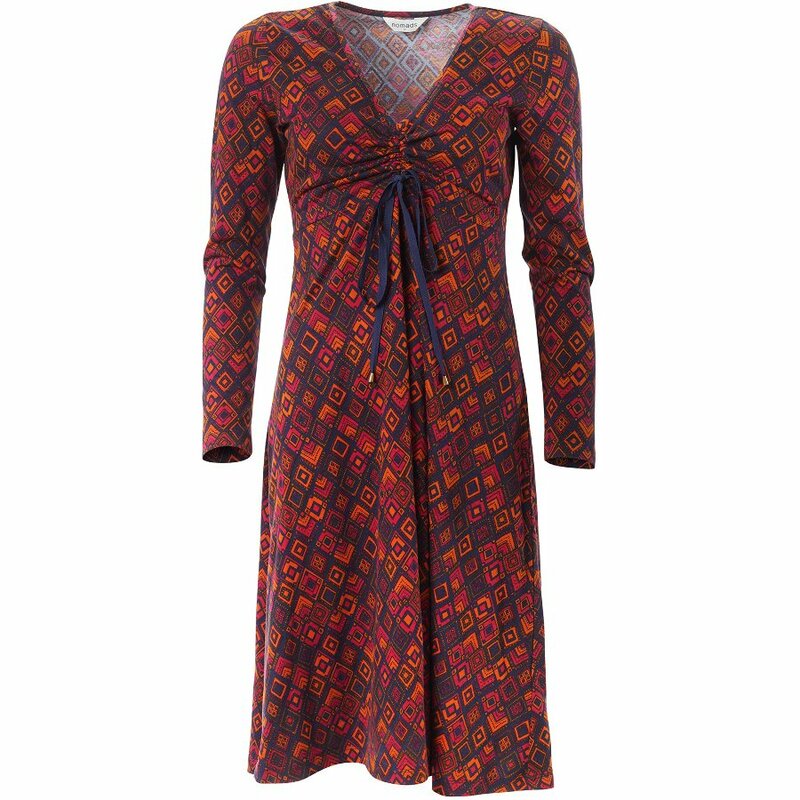 Designed to flatter your shape, this soft organic cotton dress is a must have this season. In a gorgeous prism print, the dress features a v neck with a drawstring ruched bust creating delicate pleats. 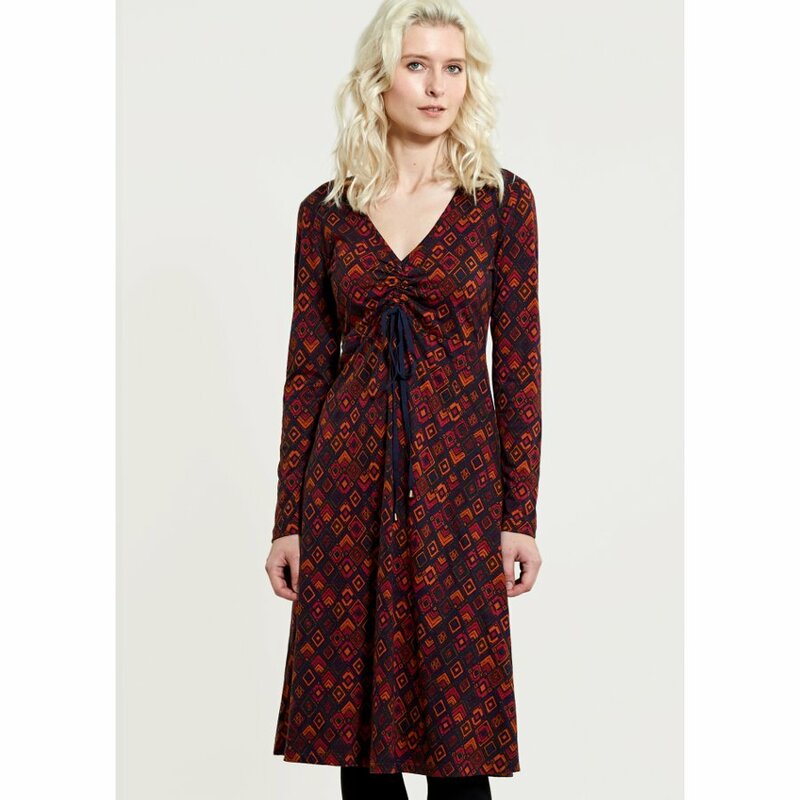 The dress falls just below the knee and will look great with your favourite vegan leather boots for a smart occasion. Produced with azo-free dyes and suitable for vegans. There are currently no questions to display about Nomads Rushed Front Prism Dress.